Stay warm and comfortable when running on colder days wearing the Ultimate Performance ultimate running gloves offering enhanced breathability and a wind-blocking material. 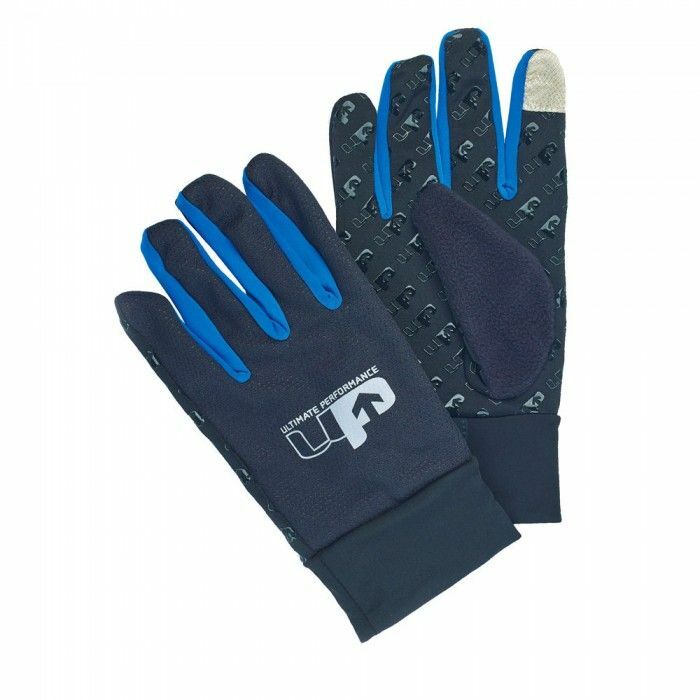 Providing excellent heat insulation and moisture absorption, the gloves help you stay dry and fresh during your regular runs and they have touch pad index fingers to let you easily use your smartphone on the go. Thanks to anti-bacterial fibres, the gloves block odours and regulate body temperature, while a reinforced pull on tab guarantees easy fitting and removal. In addition, for an improved grip, there is a non-slip silicon grip pattern on palms and fingers. Hand-wash max 30 degrees gentle. Do not iron. Do not tumble dry. for submitting product information about Ultimate Performance Ultimate Running Gloves We aim to answer all questions within 2-3 days. 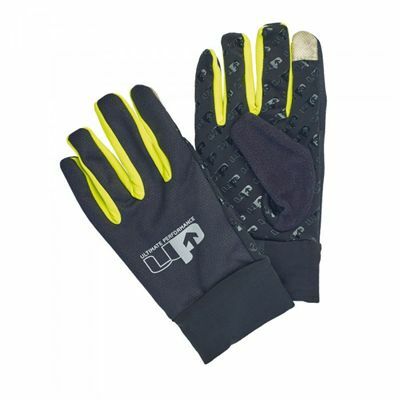 for submitting product information about Ultimate Performance Ultimate Running Gloves. We aim to answer all questions within 2-3 days. If you provided your name and email address, we will email you as soon as the answer is published. for submitting product review about Ultimate Performance Ultimate Running Gloves.